Although this line has been critisized for the price of the perfumes and the pesentation, I find that all the perfumes in the line are very well made and have quality ingredients. Other lines are just as expensive and don't get the bad attention this line gets. Of course of all seven there are some that I like more than others. STH is one of them. I find it very original and absolutely delicious. I have only bought one by Kilian and it was a tough decision. In the end I went for Cruel Intentions because I found it more wearable for a female, but Straight to Heaven is up there in my "to buy" list. 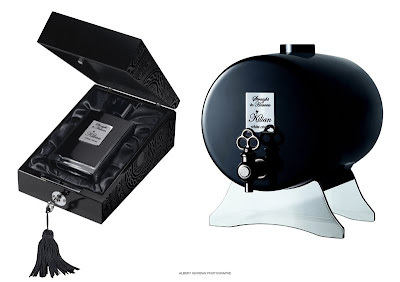 I met Mr. Kilian last year, and although I really don't like some of the ad copy for these perfumes, I have to say that I don't know of many brand owners that will work for hours behind the counter at Saks. He definitely has poured all his energy in the success of his brand. ps that skull is out of this world!